Requested restoration is as individual as the corresponding approach. Sometimes it pays to deviate from the traditional method to try out new approaches and ideas using CAD software and gain advantages from it. Even monochromatic materials can be aesthetically enhanced in a few easy steps. 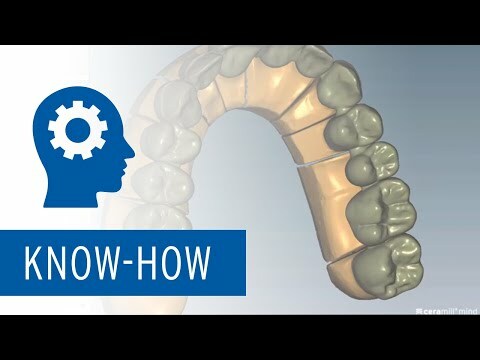 The Ceramill speed crown - this video shows you how to do it with the Ceramill Mind CAD software. Many know the problem – the dentist requires aesthetically appealing fabrication, however, the tooth position allows hardly any room for the veneer. We will demonstrate here how the best can nevertheless be made of the situation.